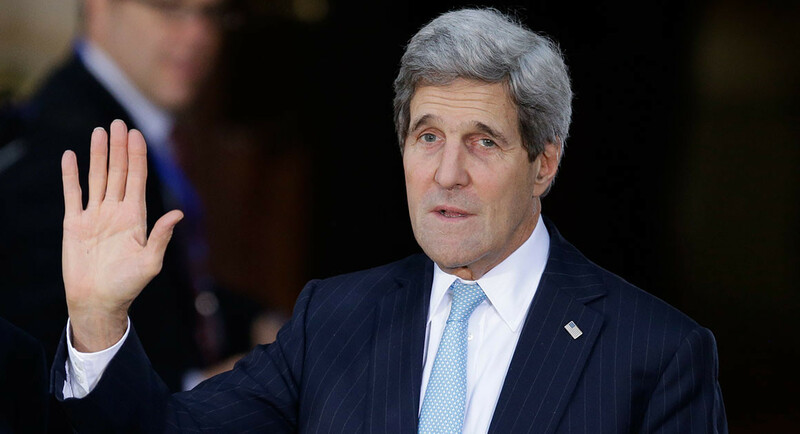 (Breitbart) On Sunday John Kerry was a guest on CNN’s “Fareed Zakaria GPS,” Farred ask Kerry if Trump is capable of his job, Kerry said, “I think it’s more than doesn’t seem capable. We have had confirmed now for more than a year, and a half, examples, some by virtue of people who write a book and talk to a person like Woodward and tell him what they’re saying and observing —and Woodward is obviously a terrific reporter knows how to gather his facts and protect his flanks, so his credibility is very, very high. 1.5 Years. That Says a LOT in My Book. Seems to me that the babies’ blood he drinks isn’t helping him very much. Well, well, well he ain’t holding anything back!! I HAVE YET TO HAVE BEEN ABLE TO UNDERSTAND EVEN THE BRAINLESS LIB DEMA-RATS WOULD VOTE FOR ONE OF THE BIGGEST TRAITORS OF AMERICA AS THE SEC OF STATE BUT THEY DID & EVEN BEFORE HIM THEY VOTED THE BIG TRAITOR KILLER & CLINTON MAFIA BOSS KILLARY AS THE SEC OF STATE TOO??. THEY WENT TO THE BOTTOM OF THE SWAMP PEOPLE & PULL THOSE 2 OUT TO PUT THEM IN OFFICE? I KNOW THE DEMA-RAT PARTY HAS BEEN WIPED OUT WITH ALL THE PEOPLE THEY ARE PUSHING INTO OFFICE FROM SOROS’ PAID SATAN NON-AMERICANS JUST TO GET VOTES. in my HUMBLE OPINION KERRY IS AS FULL OF BS AS THE REST.